Elective Credits, Credits Outside the Major and Free Choice Credits requirements may be satisfied by completing either a six-credit (6.00) or two three-credit (3.00) courses (for a total of six credits). If two three-credits courses are used to satisfy a six credit Elective Credits, Credits Outside the Major or Free Choice Credits requirement, then the two three -credit courses may be in different subjects and in different levels. If a Free Choice Credit requirement must be taken at a specific level, then two three-credit courses at that specific level can be combined to satisfy the requirement. 12 additional credits at the 4000 level in anthropology. 12 additional credits at the 3000 or 4000 level in anthropology of which at least 6.00 are at the 4000 level. Students in the Honours iBA program will be required to complete 12 credits of internationally-oriented courses chosen outside the major that focus on a country or region that is compatible with the student’s chosen language stream and/or on an international issue that is of interest to the student. As part of the 12 credits of internationally-oriented courses, students are required to enroll in ANTH 2300 3.00 "Intercultural Training Skills" course before embarking on their international exchange term in year three. The Honours iBA program in Anthropology described above may be pursued jointly with any Honours Minor BA program for the Honours Major/Minor International iBA program. (General Education 21 credits; Anthropology Major 42 credits; Minor 30 credits; Language Requirements 18 credits; Free Choice 9 credits; total 120 credits). six additional credits at the 4000 level in anthropology. 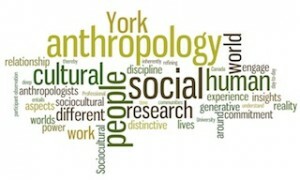 INTERDISCIPLINARY LINKED PROGRAMS WITH ANTHROPOLOGY: African Studies, European Studies, Latin American and Caribbean Studies, South Asian Studies. 12 additional credits at the 3000 or 4000 level in anthropology. six credits at the 4000 level in anthropology. For full program description click here.